Some that were and one that wasn't meant to be at Black Point Drive. After three months of not really being able to shoot, it feel great to get back out there. 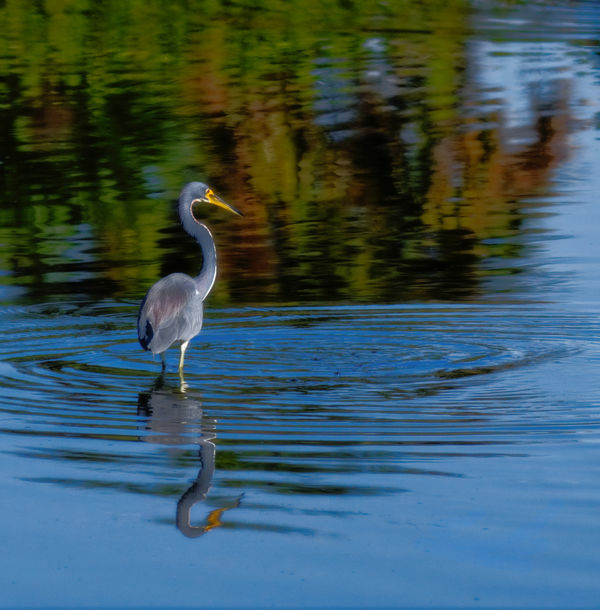 Last Thursday we spent the morning on Merritt Island at Black Point Wildlife Drive. The variety of birds was good and their numbers were OK - not great but adequate. 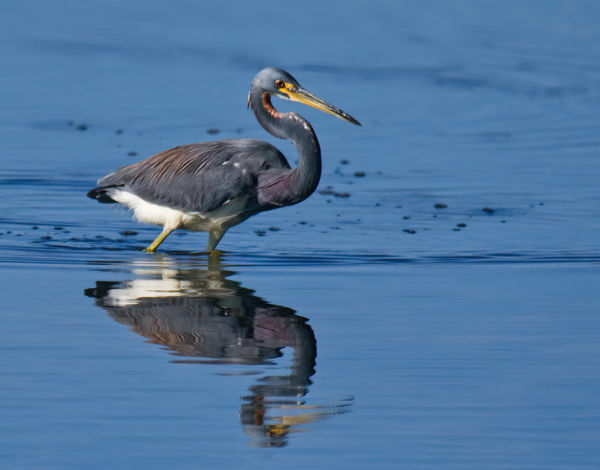 Missing were Great Blue Herons and Reddish Egrets. I only saw a couple of Snowy Egrets but it was an excellent outing and I am happy with the results. I really wanted shots of the beautiful Green Heron that I spotted but it wasn't to be. 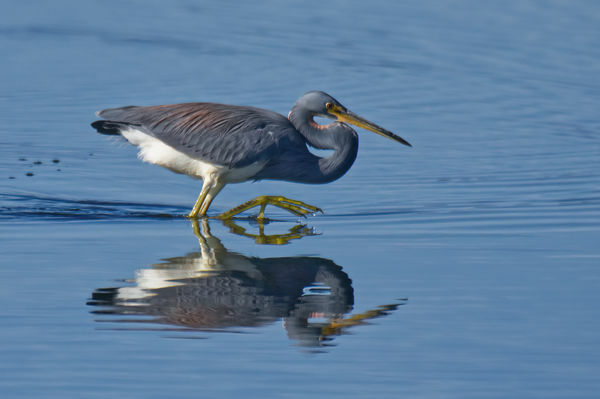 Tricolored Herons never fail to entertain with their hunting antics. It was a good day for reflections. I named this on Big Foot! This beautiful Great Egret disappeared into the grass and then departed the area. 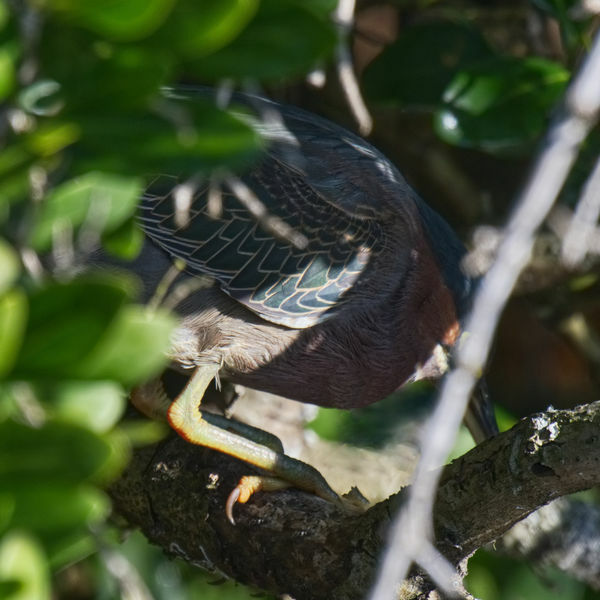 This little Green Heron was shy. 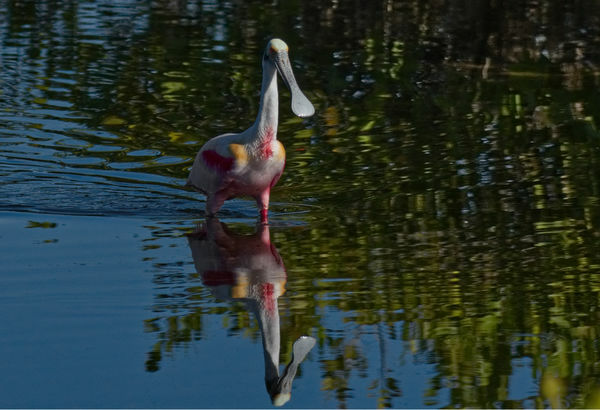 My camera and tripod attracted a crowd of onlookers and he never emerged from the Mangroves. 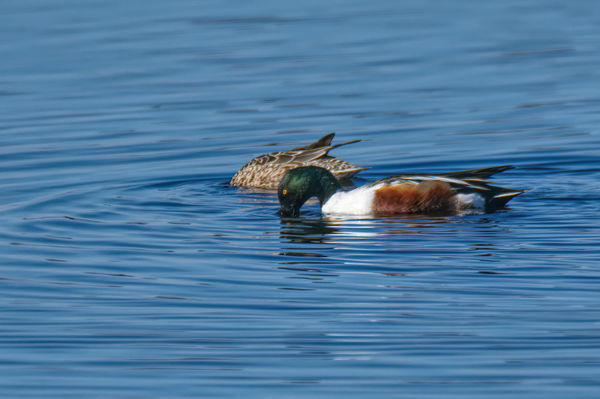 I believe these are Northern Shovelers. 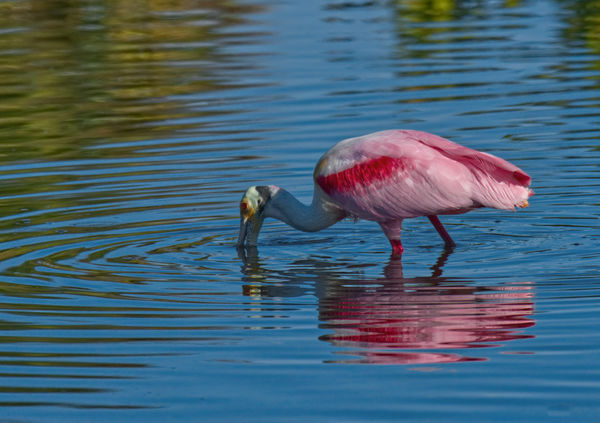 There were Roseate Spoonbills in several locations on the drive. 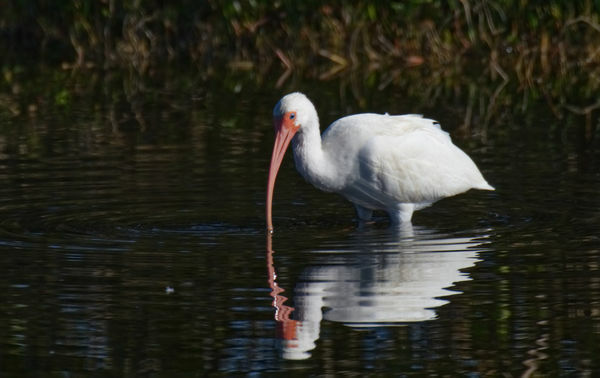 A White Ibis check his reflection. Gorgeous reflections! 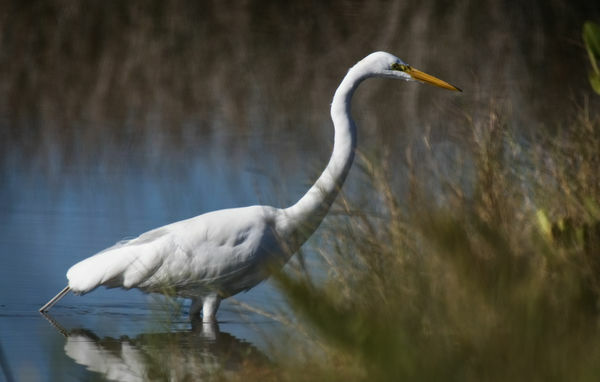 Also, the more muted colors as setting for your great egret are so complimentary. Very enjoyable series - so glad you are finally out and about. Thank you, Linda. It was a beautiful day and the reflections were great everywhere I looked. It felt great to be there! Thanks for the share! I'll be there next week. Looks like you had a great time and came back with some nice photos...enjoyed the downloads!! WOW!!! 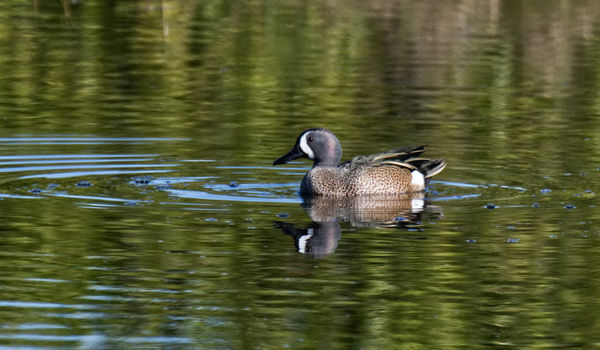 Carol, just when I thought it couldn't get any better, you post a collection of great water bird photographed. Now I'm really envious. I think I will go out and shovel snow today, although I may take off and shoot some winter pics. I can always get some ducks and geese standing around in the snow. Good to see you back out, Carol! Thank you, Dave. It is a special place that I never tire of! I hope you have good weather and lots of birds. It was an excellent day and a real treat to be at Black Point. I'm glad you enjoyed these. Not to be a pain, but it got up to 80 on Thursday. It's overcast today and going to cool off some. I thought about you while I was there and made it a point to find gators, too. Thank you for your very nice comments! Believe me, Mike, it is good to be back! Nice variety and some fine reflections!